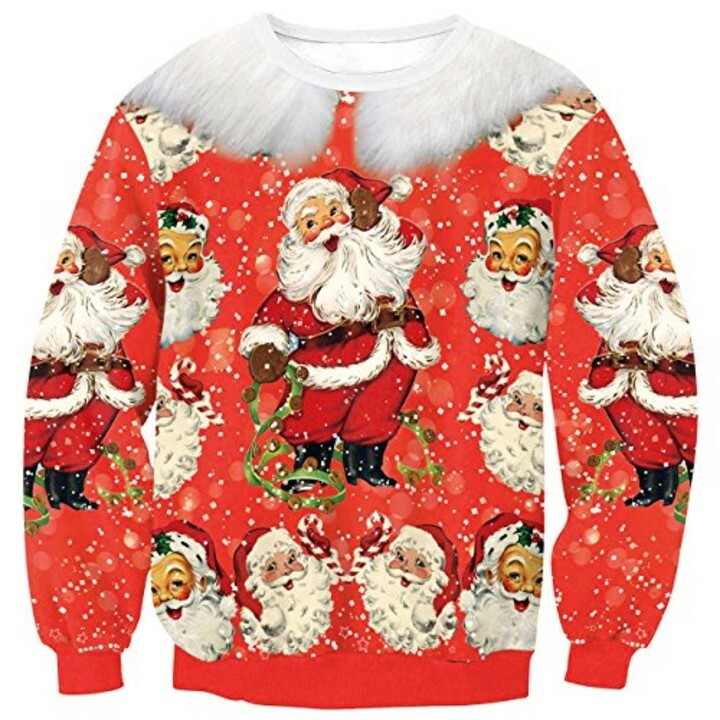 The uglier the Christmas sweater, the better! 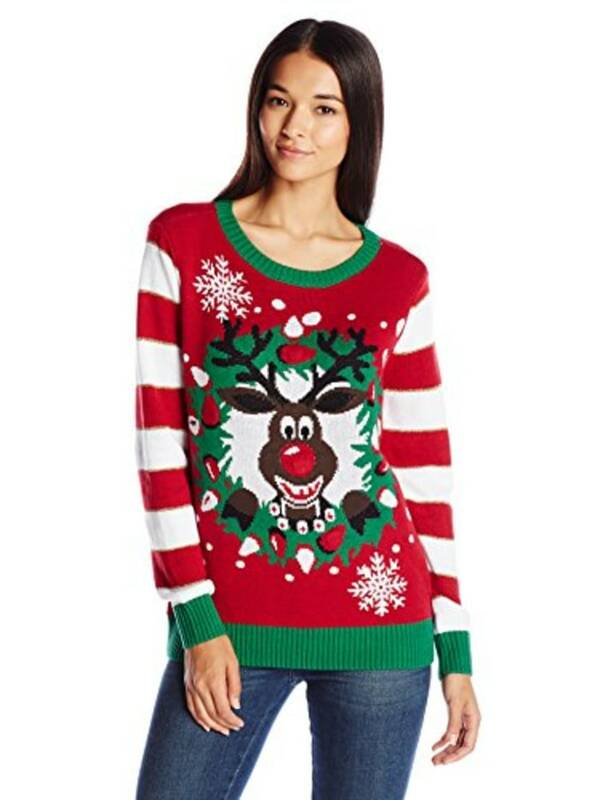 'Tis the season to break out your ugliest sweaters and fête the holiday season in (tacky) style! 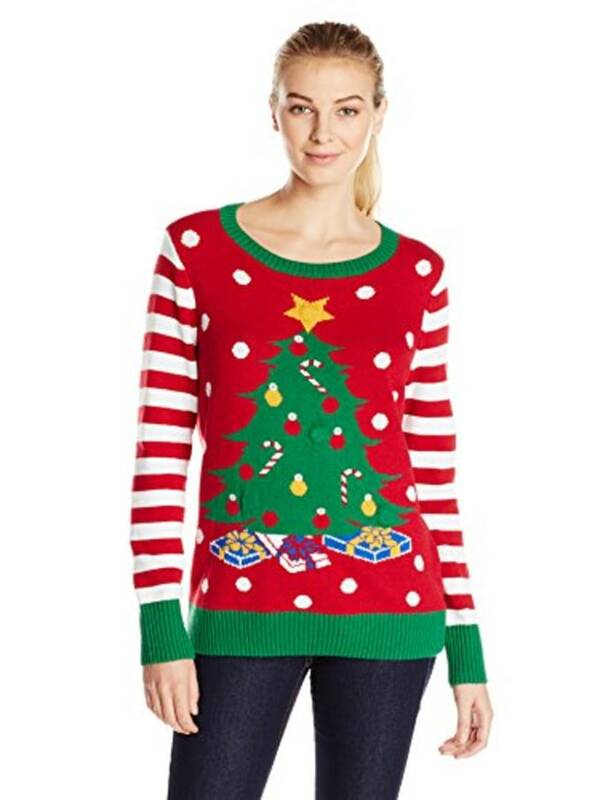 Want to bring your A-game to the next ugly Christmas sweater party? Treat yourself to one (or more!) 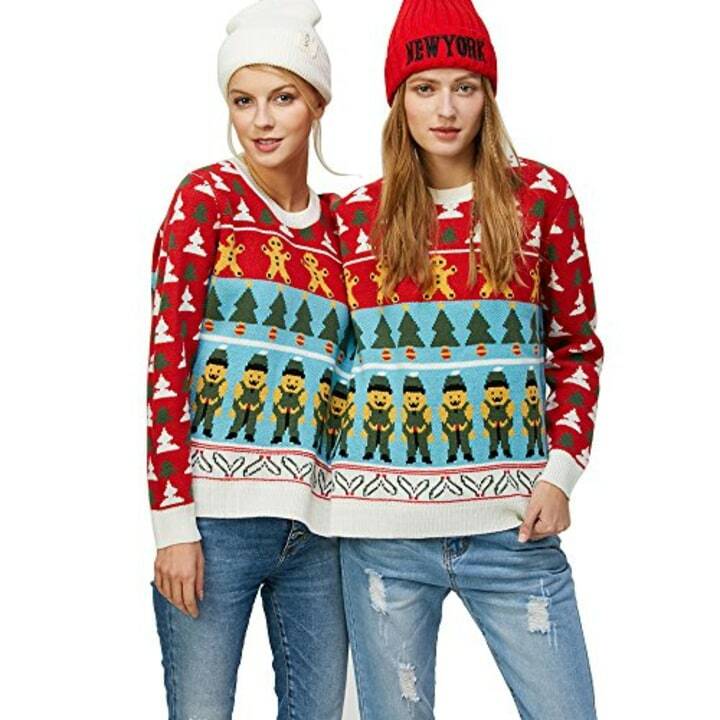 of these horrendously cute sweaters and consider Christmas handled. Now, go on a sleigh all day. Baby shark doo, doo, doo, doo, doo, doo. Santa shark doo, doo, doo, doo, doo, doo. Santa shark doo, doo, doo, doo, doo, doo. Santa shark. Oh deer, the holidays are here! 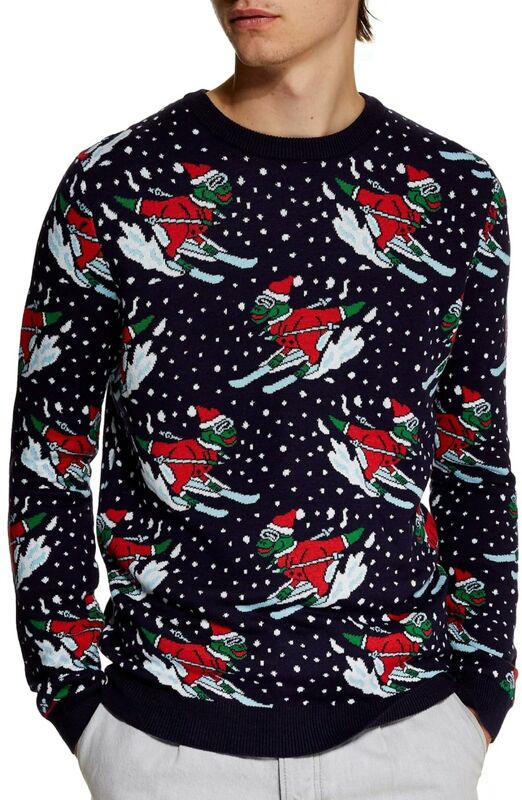 Sleigh this Christmas and light up the holiday season with this sweater. Meowy Christmas! 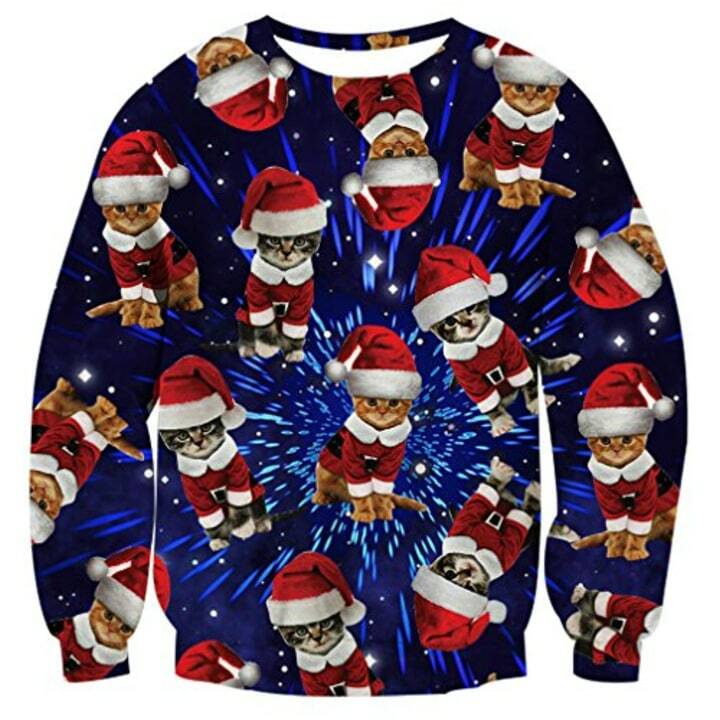 It's the purr-fect time to show off your feline pride in a sweater that's totally out of this world. This candy cane tunic is in mint condition. Why blend in with the crew neck crowd when you can stand out instead? 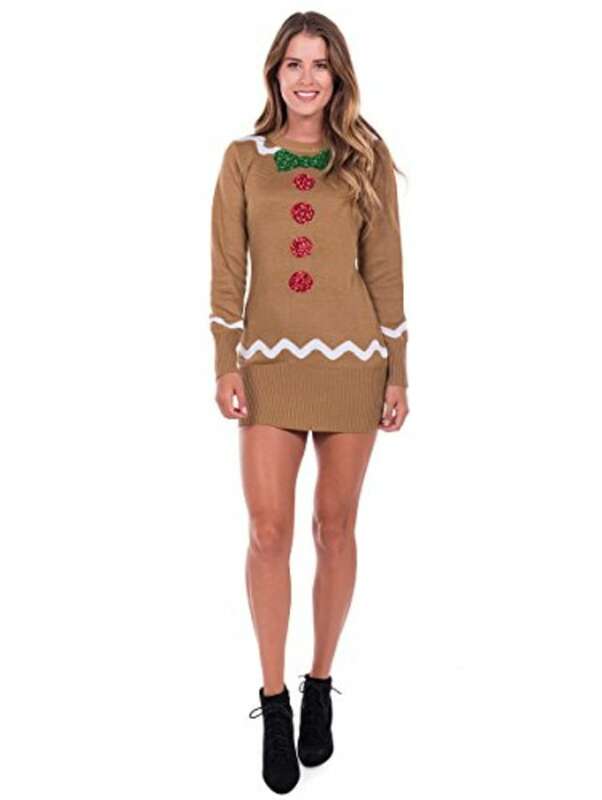 This sweater dress is sweet. Channel a delectable Christmas treat in this one. 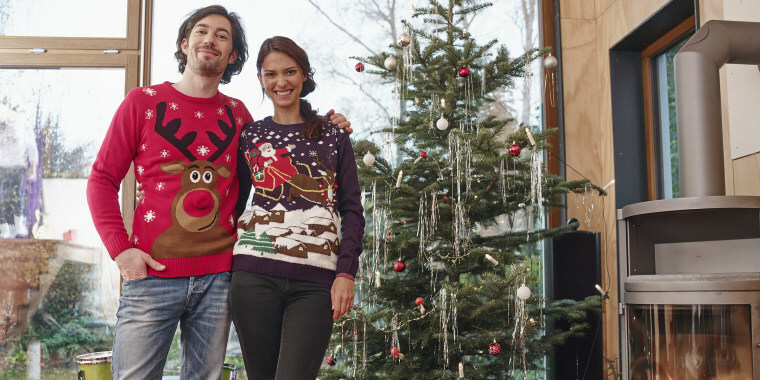 For the price of one ugly sweater, you and your main squeeze can bring the holiday cheer together in this two-person masterpiece. These rad dinos know how to shred some powder! 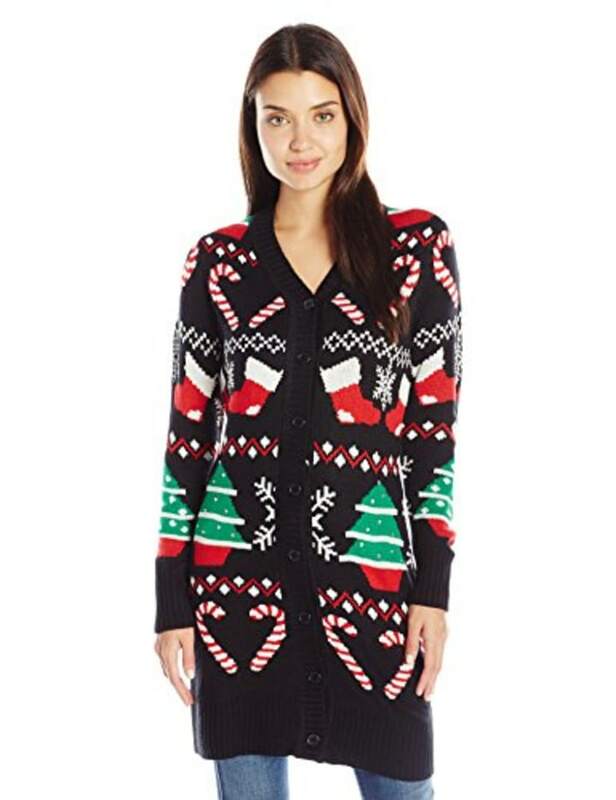 This sweater will definitely get some laughs at your next holiday party. 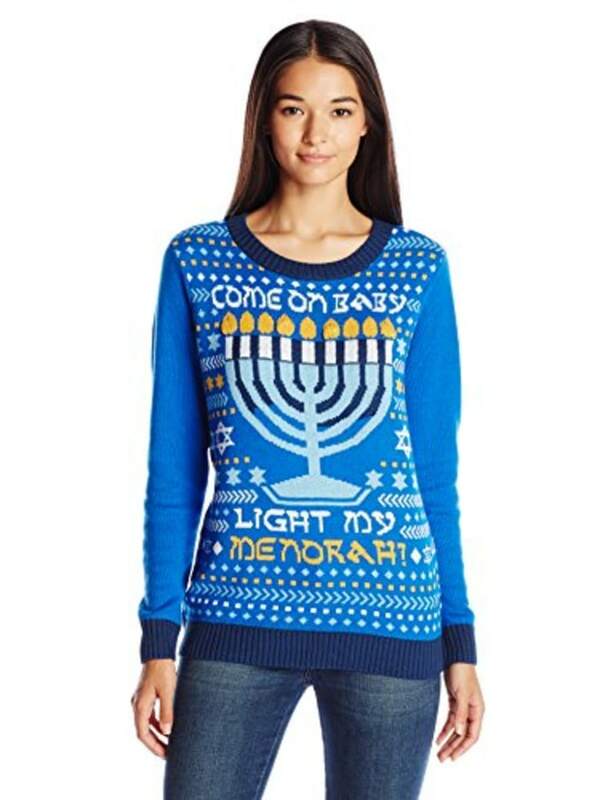 We can't forget about Hanukkah! 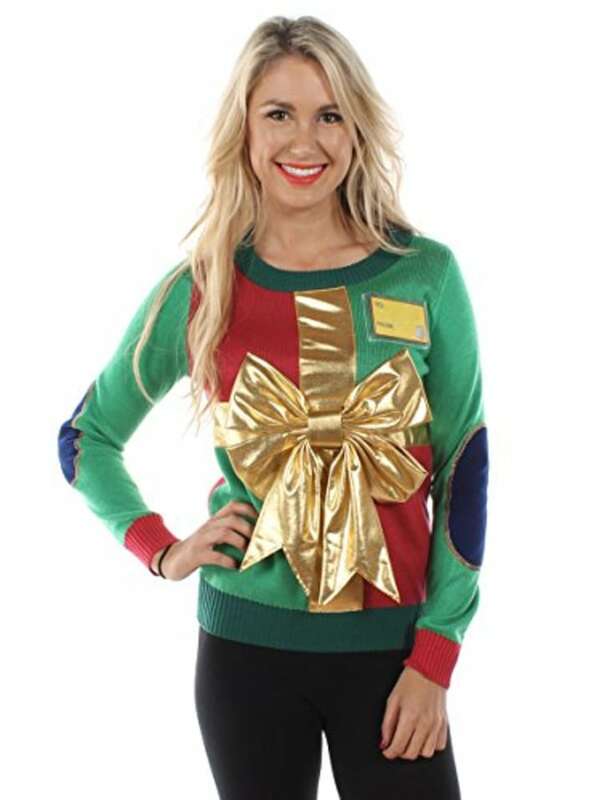 Celebrate the Festival of Lights with a sassy sweater that lights up as you move. 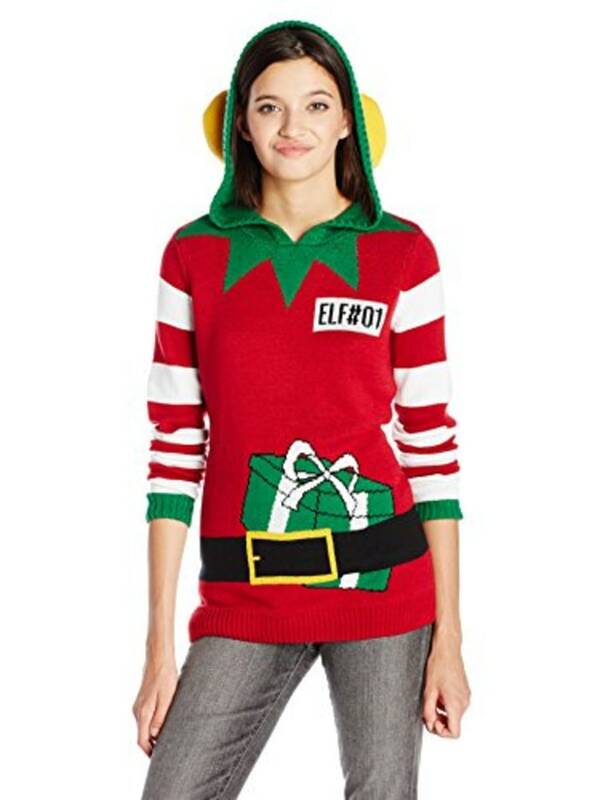 Become the ghost of Christmas present and pull off the perfect holiday look with this fun Christmas sweater that comes complete with a hood and pointy elf ears. Can't decide between red and green? 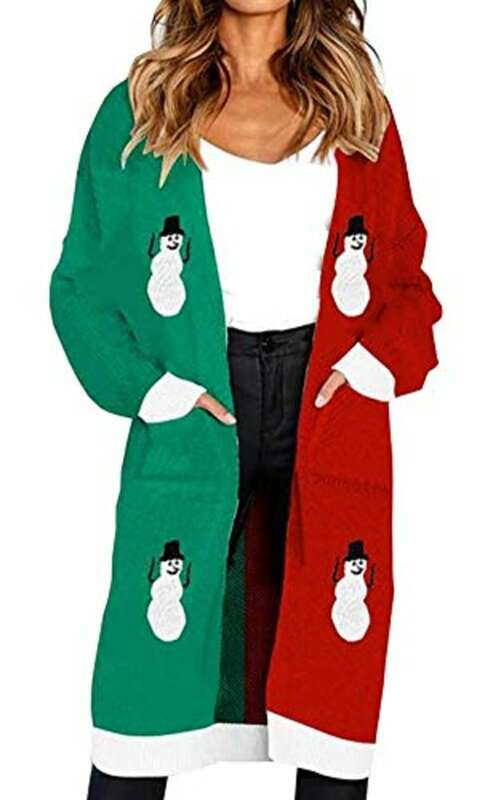 With this funky holiday cardigan, you don't have to! Shine bright like a Christmas tree. 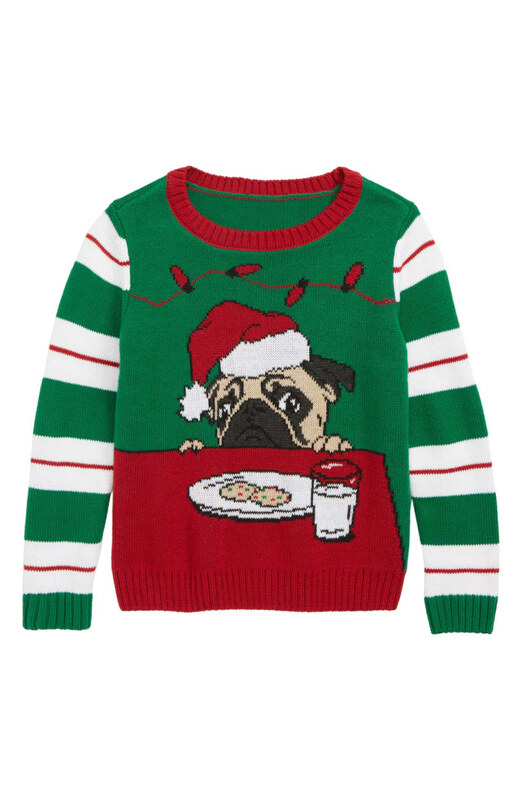 If your little ones want to get in on the trend, grab this pug-ly Christmas sweater. 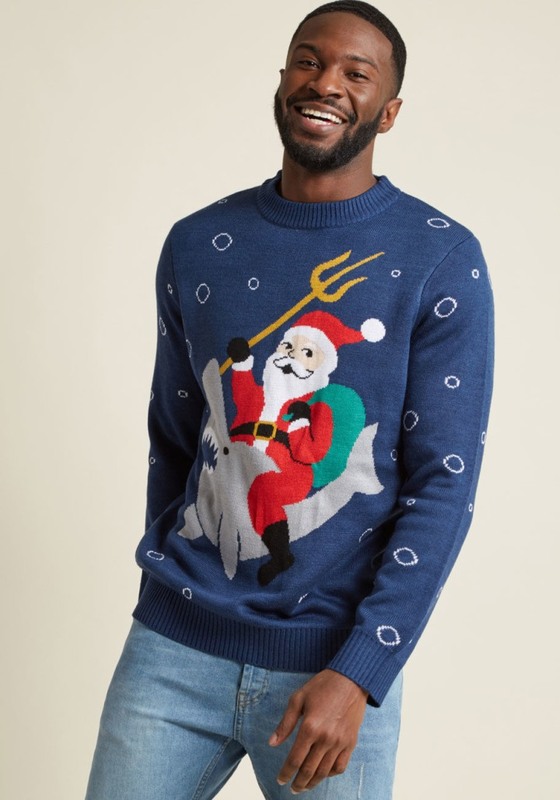 Show off your love for St. Nick in this festive sweatshirt with a faux beard printed at the collar. 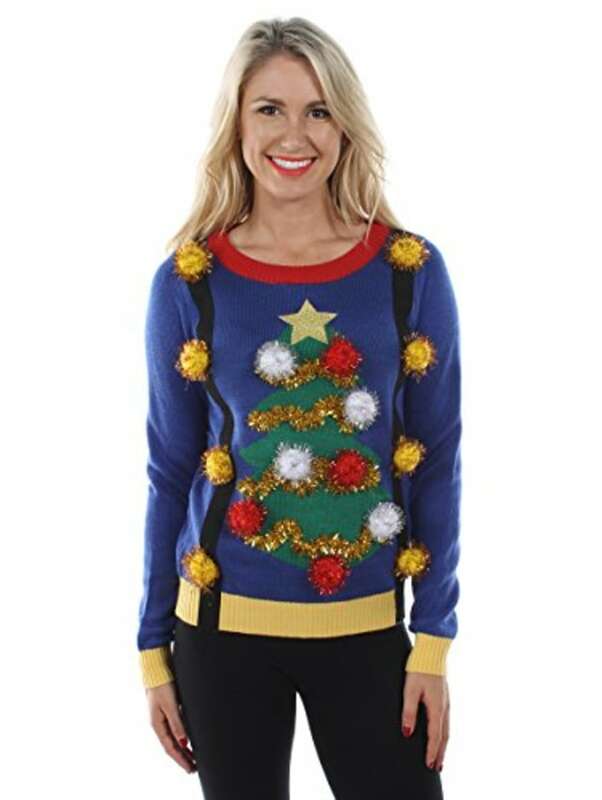 "Oh Christmas tree, oh Christmas tree..." Everyone will be singing your praises in this jolly sweater complete with suspenders and pom poms. 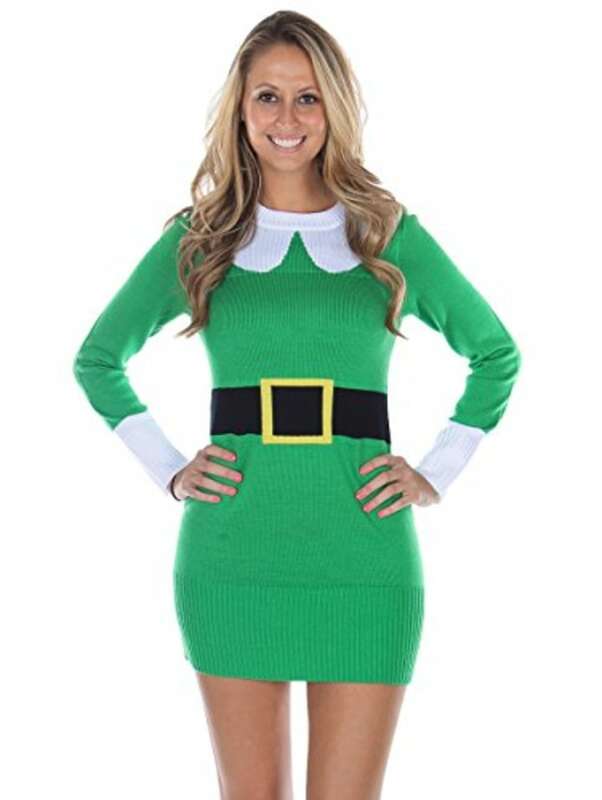 It's not your typical ugly Christmas sweater, but at least you know you'll look elf-in' amazing in this sassy green sweater dress. 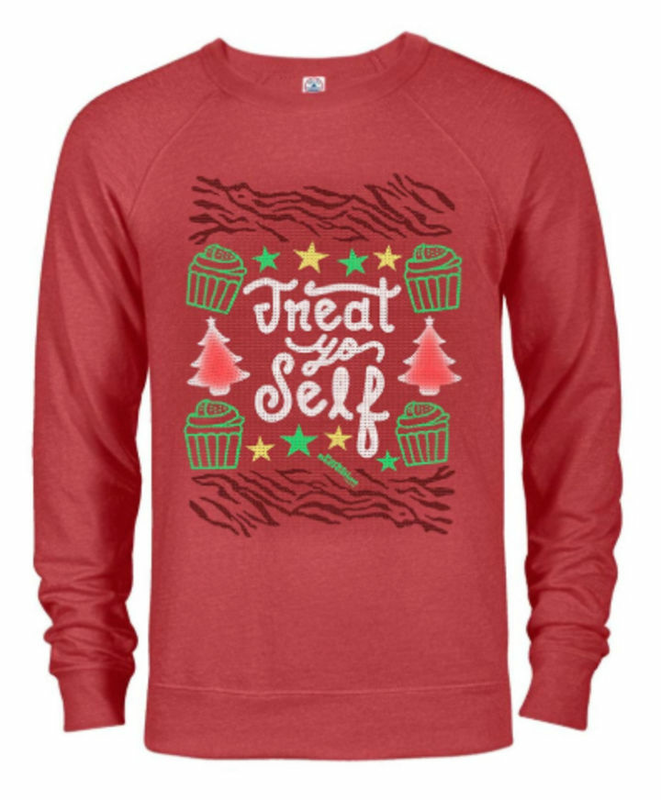 Donna and Tom from "Parks and Recreation" would absolutely approve of this holiday-themed swag. Don't forget to "treat yo self" while you're checking off everyone else on your shopping list! Didn't bring a hostess gift? No problem. 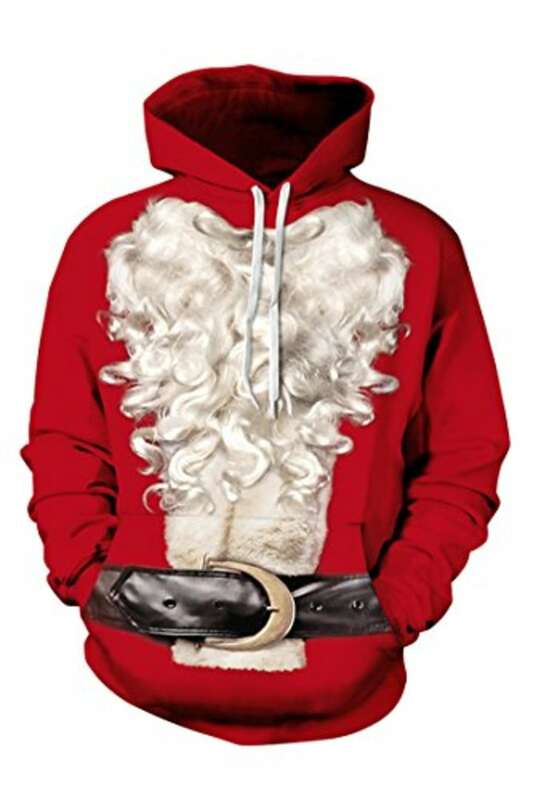 You can just show up dressed as a present!